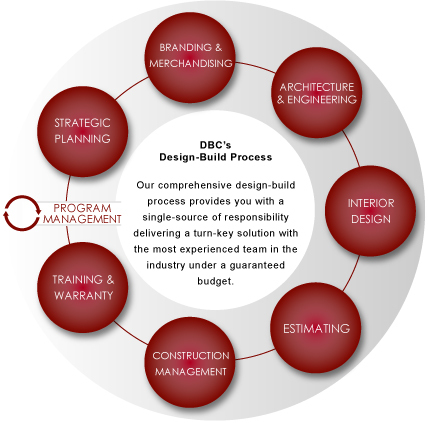 Since 1975, Design Build Concepts has successfully practiced a comprehensive design-build process employed with one contract between the Owner and DBC to provide all of the expertise, labor and materials necessary to manage all aspects of your institution's building program. From evaluating potential sites to hanging artwork on the walls, our team of in-house professionals will help you plan, design, construct and maintain your new facility. Please contact us for more information on our design-build services, for client references or for more information about our company.